YouTube star ‘PewDiePie’ finds himself in hot water again this week after using a derogatory word for African-Americans while live streaming on YouTube. PewDiePie has over 57 million subscribers on YouTube and reportedly earned a staggering 15 Million dollars from YouTube ad revenue last year. 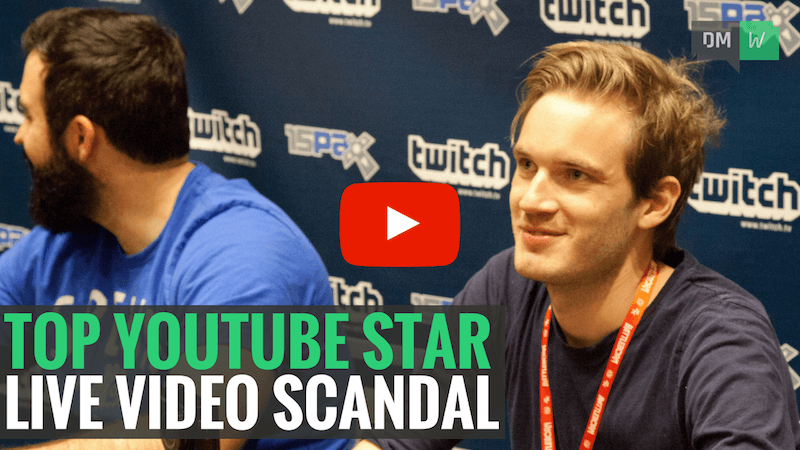 PewDiePie immediately followed the slur with “I don't mean that in a bad way"
"We're filing a DMCA takedown of PewDiePie's Firewatch content and any future Campo Santo games"
This incident is a sobering reminder of the widespread reach and impact live video can have on you and your businesses image. Always remember to be mindful of what you say and do during a live broadcast because you can’t edit it out! In breaking SEO news this week, Google has announced a new Google Analytics cookie. The new cookie is designed to circumvent the Intelligent Tracking Prevention (ITP) system in Apple’s upcoming Safari browser update. A cookie is a small file generated by websites that stores information about you and your interactions with that site. Cookies are usually saved on your computer until they expire, or you manually delete them. However, Apple’s ITP system is designed to limit the tracking to only 24 hours, after which the cookie is only available for login purposes, and after 30 days the cookie is deleted entirely. The ITP system poses a huge hurdle for advertisers who rely on tracking visitors over extended periods of time so that they can re-target the visitors via strategically placed ads. Thankfully Google has updated their Google Analytics cookie, so it will now collect data from Safari in a way that conforms with the ITP system. If you’ve already linked your Google Analytics and Adwords accounts, there is nothing more you need to do to take advantage of this new cookie. Facebook has confirmed they are testing pre-loading videos on a small percentage of Android devices. While you’re connected to a WiFi connection, videos in your news feed will download in the background and be saved to your phone. A lightning bolt icon will appear on all videos that have been pre-loaded. Then when you’re out and about, you’ll be able to watch these pre-loaded videos without using up your expensive mobile data. Facebook hopes that this will lead to even more people watching video content on mobile devices. This could give Facebook even more market share in the online video space, as other big players such as YouTube have yet to roll anything like this out to their users. If you’ve noticed the lightning bolt icon on videos in your news feed, let us know your thoughts on the pre-loaded videos in the comments.